Mori wa ikiteiru is a folk band from Tokyo that formed in April 2012. Okada Takuro (guitar, pedal steel, mandolin, banjo) started the band as an ambient project, as evidenced by the solo track on their myspace page. Eventually, mori wa ikiteiru became a full band that was more influenced by classic rock and folk music. The full lineup includes Takekawa Satoshi (vocal, guitar, bass, synth, percussion), Taniguchi Yu (piano, wurlitzer, organ, accordion), Kuyama Naomichi (bass, guitar, piano), Ookubo Junya (sax, flute, trumpet) and Masumura Kazuhiko (drums). Their first CD-R Foam of the Daze was released in December and is available at Jet Set Records. You can listen to the first two tracks on SoundCloud. http://www.myspace.com/1005038197 Read the rest of this entry ? Happy 6th anniversary, J-Rock Explosion! 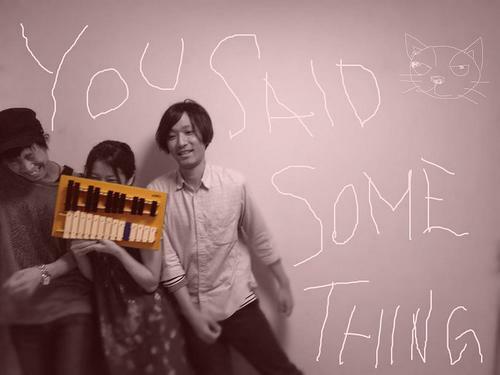 You Said Something is a lo-fi indie pop band from Sapporo. The trio, Kousuke Sakurai (vocals, guitar), Saya Yamada (bass, metallophone) and Kouichiro Sawaya (drums), formed in March 2011. Their self-titled EP was released last October and is available at Jet Set Records. They recently contributed the track “Sunshine” to Ano(t)raks new compilation Upwards and Onwards. 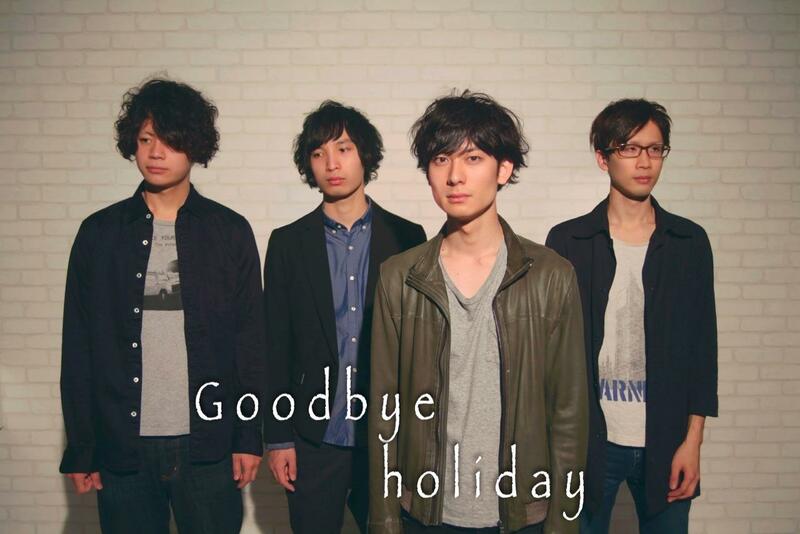 Goodbye holiday is a four piece rock band that formed in Hiroshima in 2008. 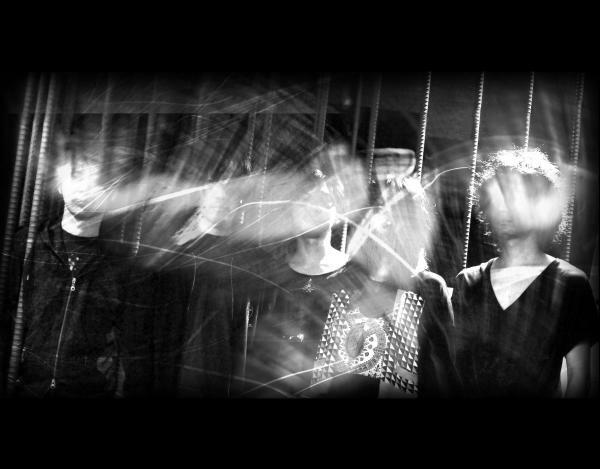 Kodama (vocals), Omori (guitar), Fukuyama (bass) and Yamasaki (drums) moved activities to Tokyo in 2011. They released a demo album that year that eventually became their first mini-album. Solaris was released in January from No Big Deal Records and is available at CD Japan. You are currently browsing the J-Rock Explosion blog archives for February, 2013.